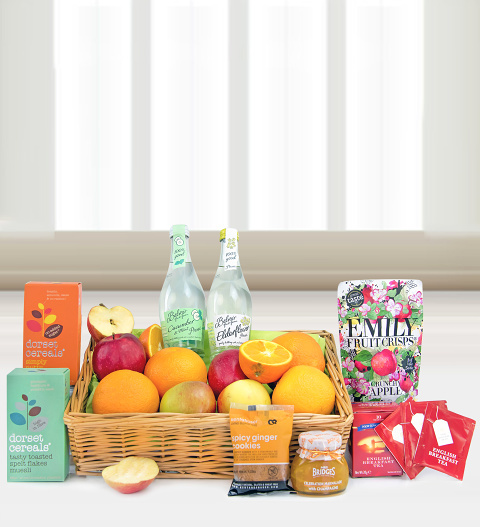 We have selected the very best freh fruit and fruity treats for this gift basket. Just as the bright colours catch the eye, so too will the amazing flavours delight your taste buds. Send this beautiful tray of goodies for Mother's Day, a birthday, anniversaries, or any other happy occasion.